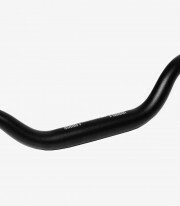 Get now the conical handlebar from Puig in color Black. 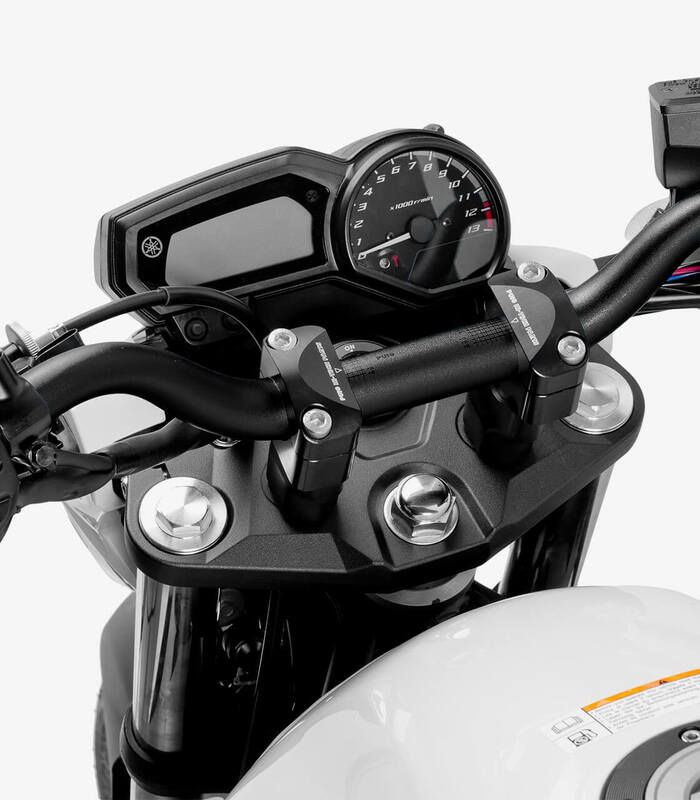 The handlebar conical from Puig in color Black it's great to change the one who carries your motorcycle. Either because you have had a crash that has left folded the default one, or because you want to put a handlebar that fits better to your style, this handlebar it's going to be great for you. 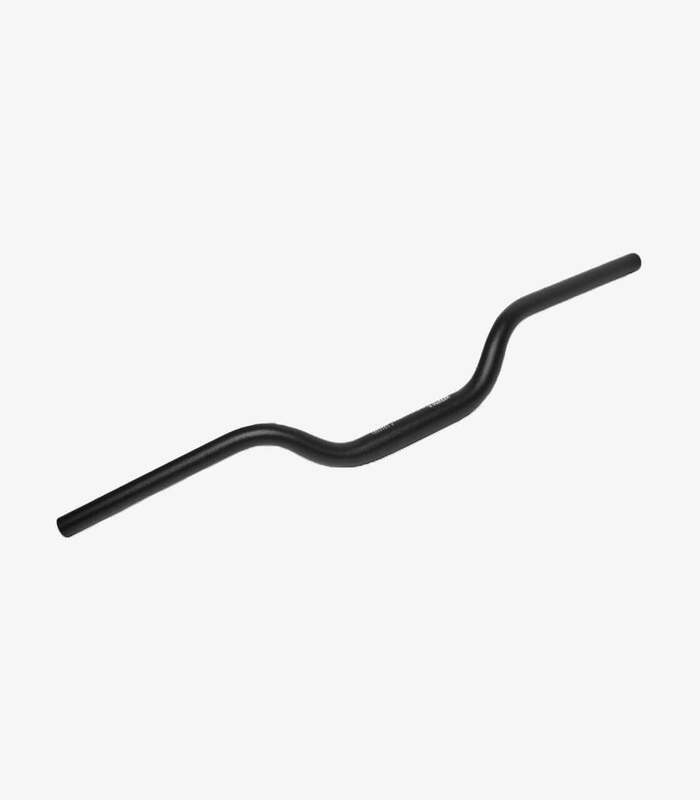 This handlebar is conical, that means that the diameter of the ends of the handlebar and the center is different. The diameter of the ends is 22mm and the center is 29mm. You can order it in three different height measurements: 20mm, 40mm and 61mm. At more height, the driving posture is more comfortable and straight. Conversely, when less height be the handlebar, the position adopted is more racing. The handlebar that you can see in the photos have 40mm height. Before buying this handlebar, it's important that you have a look if the one you have now is cylindrical or conical, that is, if it has the same diameter in the center of the handlebar and at the tips. If you want to put a conical handlebar in a bike that originally it wore a cylindrical handlebar, it will be necessary acquire apart a riser adapter. It has an internal thread of 14mm and you can put Puig bar ends with thread or universal bar ends with Silent Blocks. These silent blocks are rubber cylinders that widen while you squeezes a screw, fixing it to the handlebar without need to use the thread. It has a width from end to end of 735mm (73,5cm).